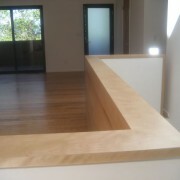 Building a custom kitchen gives us the opportunity to help our clients make sense of their new space. 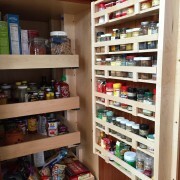 On a recently completed custom kitchen remodel in Berkeley CA , we made custom spice storage racks for our clients. To make them fully visible and organized, we mounted the rack on the back of a pantry cabinet door, instead of a drawer. Our talented team designed and fabricated a size adjustable (for different sized containers) spice rack with flip out shelves to hold the containers securely. Here’s another of our great kitchen remodel ideas. A device docking drawer in your kitchen. Here’s another of our great kitchen remodel ideas. 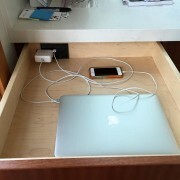 If you are tired of having all those cords from charging iPhones, iPads and laptops cluttering up your kitchen counter, install a drawer in the kitchen with a built in electrical socket and a USB outlet. Having an electrical outlet that moves with the drawer, without trailing extension cords, is the challenge. This outlet kit is the solution. 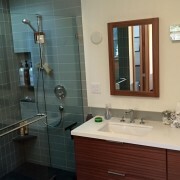 We just installed this on a recently completed kitchen remodel in Berkeley CA. Here is a link to the manufacturer of the docking drawer kit.